Mom & Dad’s 50th anniversary. They renewed their vows at Duck Creek Baptist Church in Sneedville, TN. 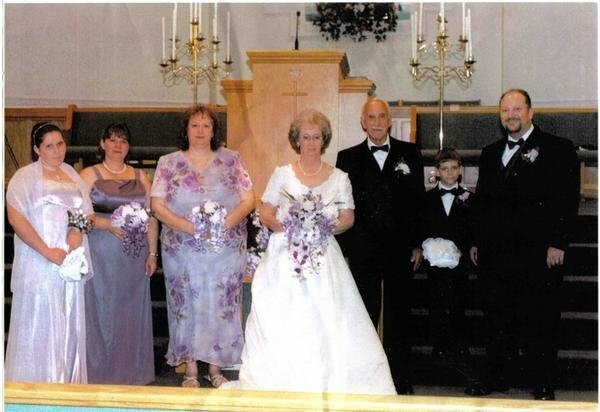 l-r are my stepdaughter Ashley, my wife Tracy, my sister Gwen, Mom, Dad, my stepson Adam, and myself. Lily was present, but was not born till a couple of months later.